Your child is your greatest gem and you want the best for them. At Children Central, we offer only the best Langhorne daycare for a child's 360 degree development. 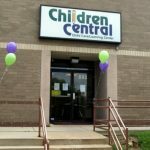 Children Central is known for our High Reach Learning curriculum, which is aligned with the state's early learning standards. This means your children learn what they need to learn in their age group. They will also meet the high expectations that our child care programs have set for both our students and teachers. Our child care curriculum is also one of the few select curricula that the Keystone STARS organization has approved. Our center is backed by strong evidence of accomplishments and certifications that the Keystone STARS organization has verified. Our High Reach Learning Curriculum is incorporated throughout the school and is based on years of experience combining theory, research and practice in early childhood education. This is further strengthened by the best practices that we have put in place when teaching the lessons found in the curriculum. So, what is High Reach learning? • A complete and comprehensive overview of best practices in early childhood development. • An easy-to-follow, step-by-step guide that draws from combined theory and practice. • Checklists to implement when developing high-quality, holistic learning environments. • A 220-page collection of evidence-based strategies that Children Central has developed over time. Every child learns best by actively engaging the world around them. By encouraging children to become more engaged in different life processes within a controlled environment, they will learn the foundations of what makes a complete functioning individual. 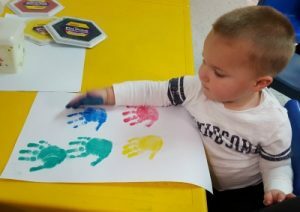 We are proud of our Langhorne child care students. By the time they graduate, we know they have all the tools they will need to continue their lifelong journey. We are confident that they complete the child development cycle while within our care. If your child is ready for an exciting adventure at Children Central, CONTACT US today. We would love to sit down and talk with you.